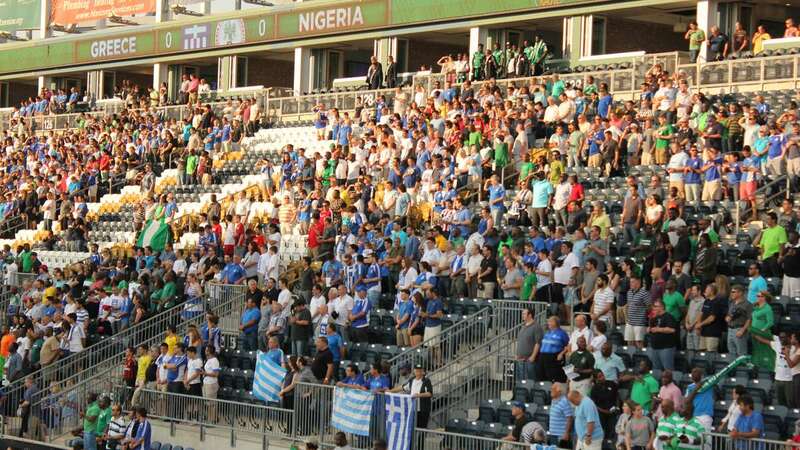 International soccer fans flocked to the Chester waterfront to watch the Nigerian national team face off against Greece in an exhibition match on the way to the World Cup. 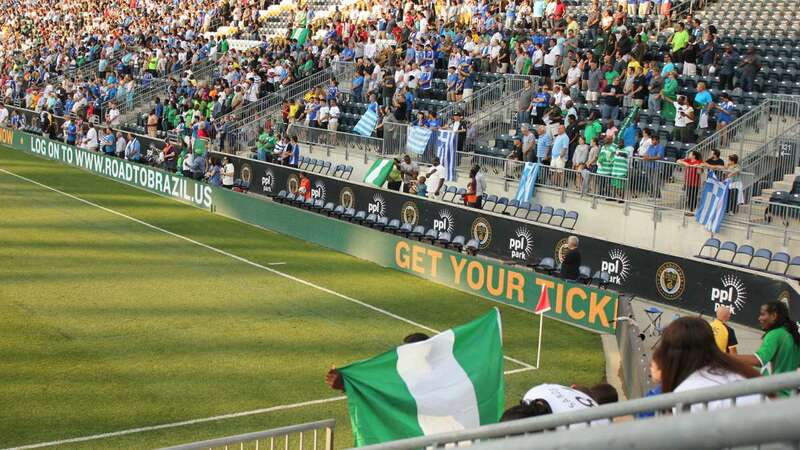 The game at PPL Park drew Greeks and Nigerians fans from up and down the East Coast, including Ike Unegbu, who came all the way from Washington DC. “We came here to back the team up and just give them all the support they need so they will just come out in flying colors in this game,” he explained. The fans also came out in their national colors. 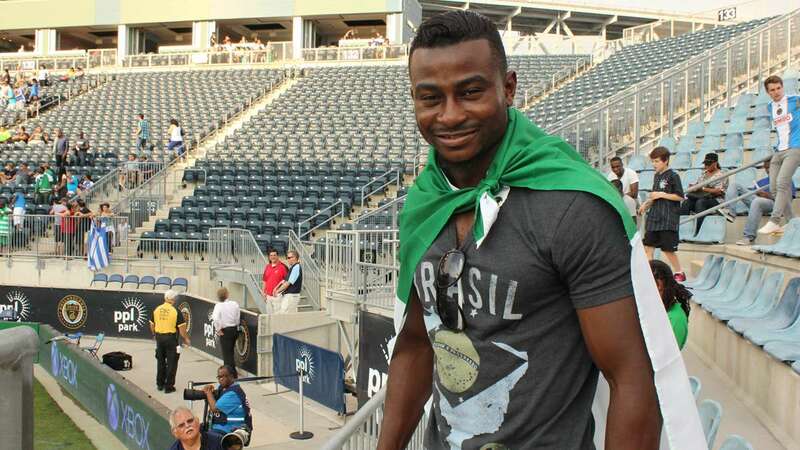 Nigerian Afeez Ayende lives in New Jersey and wrapped the green and white Nigerian flag around his neck like a cape. “I’m the Nigerian Superman,” he said. 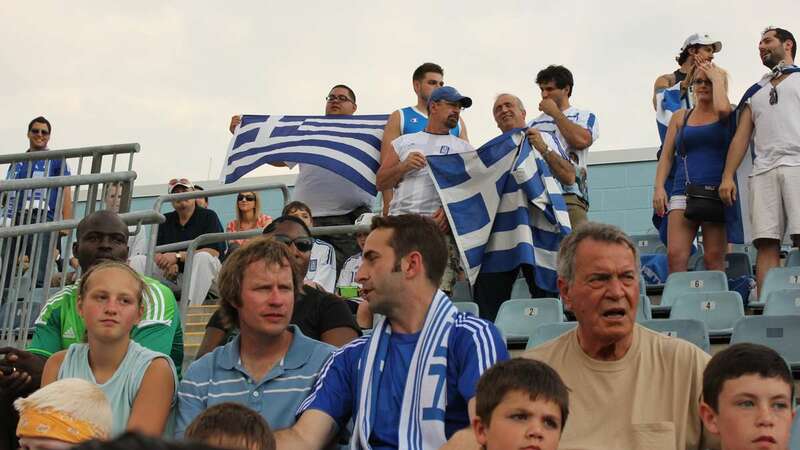 Greece supporter Yianni Kosmakos had a towel he bought at the Greek games, with a discus thrower on it. 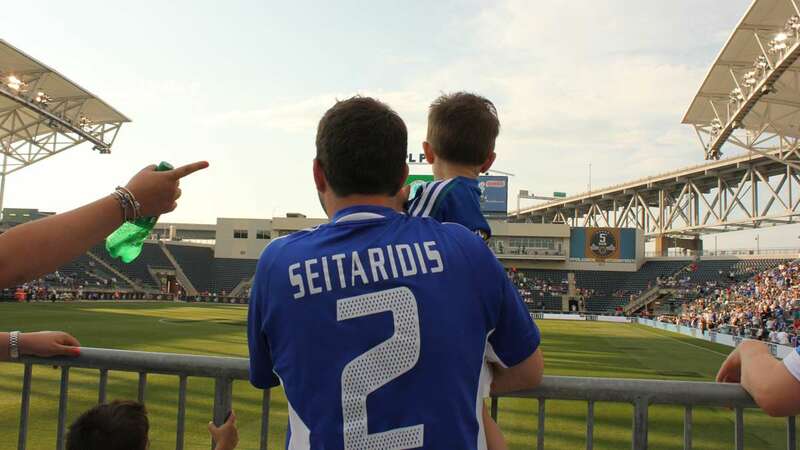 “Not quite soccer but I don’t think it matters what you wear as long as you’re showing your pride,” he said. That’s also the sentiment of Obiora Anusionwu, who came straight from work wearing baby blue polo shirt. Showing great sportsmanship on the field, neither team allowed the other to score and the game finished in a draw, 0-0. The match was a warm-up game leading into this month’s World Cup in Brazil. 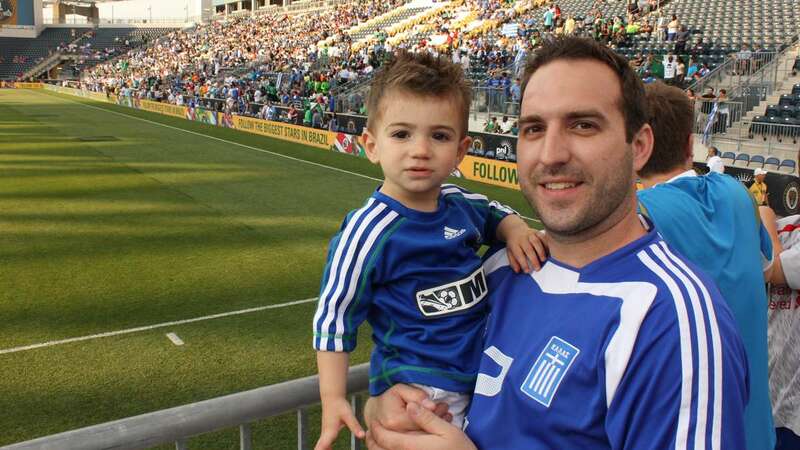 Greece’s first game is scheduled for June 14, Nigeria’s is the 16th. The American team also has its first match on the 16th, facing Ghana.